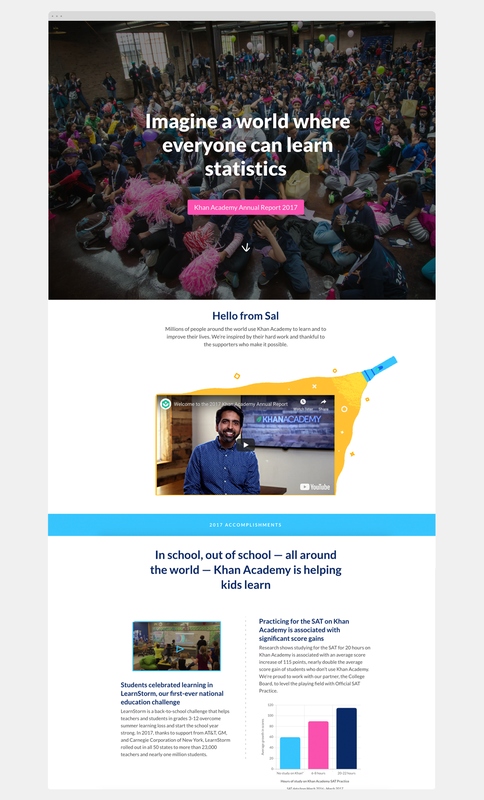 Khan Academy’s Annual Report is one of its most visible brand expressions outside of its core learning products. As such, the first annual report after launching a rebrand served as a chance for learners, donors, and the broader education and tech communities to see Khan’s vibrant new design system in action. 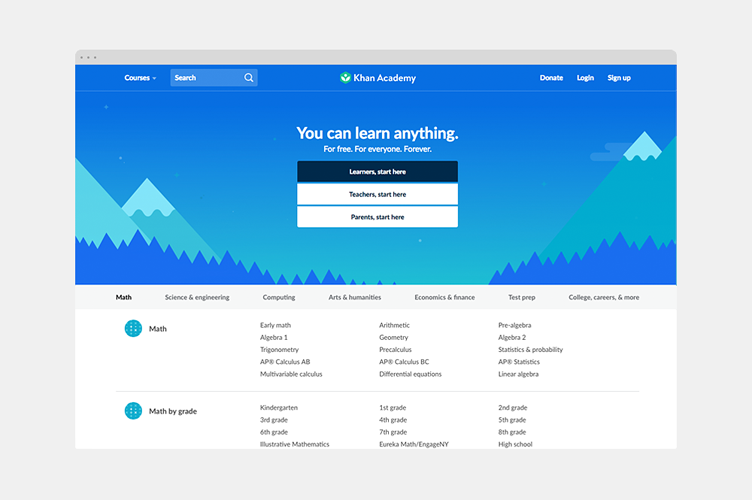 Following an in-house rebrand, Khan Academy needed comprehensive documentation of its new design language. I created a series of four guides outlining best practices for working with Khan’s new identity and design system: a Brand Guide, an Illustration Guide, a Logo Guide, and a Partnerships Guide. Websites: Brand Guide, Illustration Guide, Logo Guide, Partnerships Guide. I developed an illustration style for use across Khan Academy’s online learning platform as well as its branded touch points. The style needed to be accessible across demographics like age and global location, flexible enough to convey a range of educational topics, and documented in a way that allowed for effective execution by internal designers and external agencies and contractors. I chose a flat, geometric style and fresh color palette that met all the primary needs and oversaw its implementation on responsive web, native apps, marketing, and social.